Have a heart on Valentines Day! Principal’s Honor Roll students have at least a 4.0 GPA (see computing grade point average) with no grade on the report card below an “A”. Honor Roll students have at least a 3.0 GPA or higher with no grade lower than a “C” and only 1 C can be present on the report card. Our students were ready to show their pride with their self made 100 item shirts. Because of them we can be Lawyers, Judges, Scientist, Politicians, Doctors, and Pilots. Our first black history assembly was so informative. We had poetry done by 3rd grade, a song by Kindergarten, a speech given and Many famous Black History Icons. We were also put into formation with the CMIT Steppers. Our scholars did an outstanding job. Early Departure cut-off time is 2:00pm. Students not picked up by 2:00pm will be dismissed by their normal dismissal arrangements. The end of school bell sounds at 2:10 p.m. At this time students are in transition for designated dismissal locations. Please understand this is a critical time as ALL teachers and staff members are assisting with these processes and CMIT Elementary will honor special requests outside of the normal dismissal process as quickly as possible as staff members are available and students have been located. If you have a pressing schedule, please plan accordingly for early dismissal within the early dismissal policy. ALL Car Rider/Shuttle Bus Students need to be picked up by 2:55pm. Students who are not picked up by 2:55pm will be sent to Enrichment and charged an emergency Enrichment fee due upon pick up. Enrichment After Care BEGINS at 3:00 p.m. Early pick-up between 2:30 – 3:00 p.m. can be accommodated only if teachers/staff members are available to assist with student retrieval from the Enrichment locations. 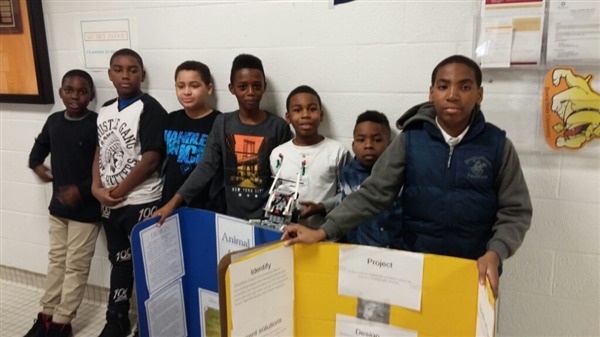 This letter to parents comes from the PGCPS Diversity Officer, Noral Illia Morales. The intent of the letter is to express the shared belief of PGCPS that all students have a right to a free public school education regardless of immigration status. PGCPS will continue to follow federal education guidelines ensuring equal access of English learners and families. Your children are safe and families should continue sending their children to school. Please click on the attachment to view the letter in its entirety. CMIT Elementary proudly acknowledges the Staff of the Month for January. 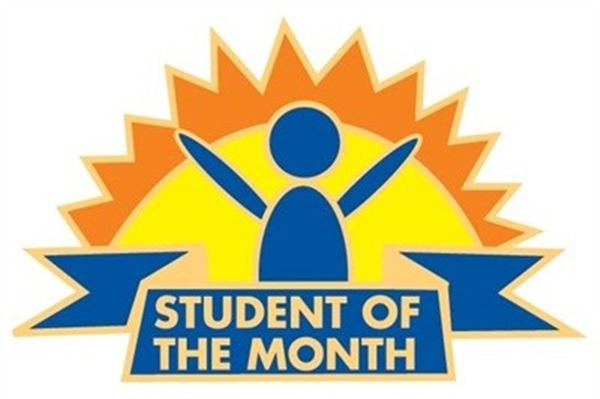 For the last two months there have been several emails thanking two different staff members for assisting with students and going above and beyond with personally helping families. 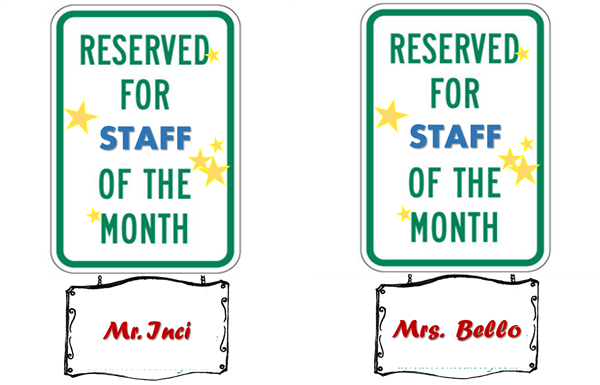 January's staff members of the month will be Mr. Inci and Mrs. Bello. Thank you all for what you do to ensure that our CMIT Families are receiving timely communication and helping build bridges. Please help us congratulate them for this huge accomplishment! Mr. Inci and Mrs. Bello enjoy your reserved "VIP" premiere parking for the next month! This is another friendly reminder for students to be picked up no later than 2:45 pm. Parents are asked to arrive no later than 2:20 everyday. Please understand that teachers are off duty at 2:45 and dismissal begins at 2:20. 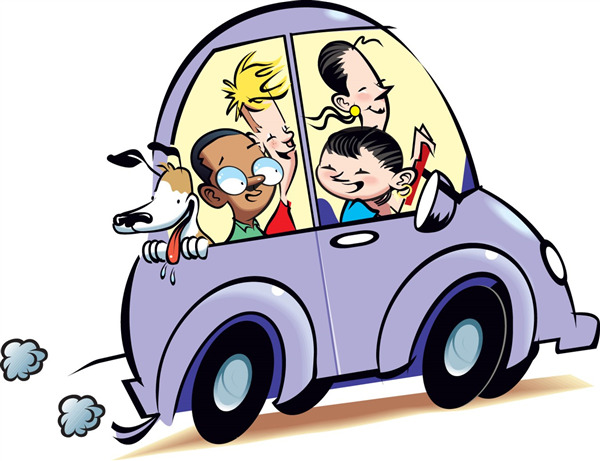 There is a designated drop off / pick up location where staff provides supervision for car riders and for chartered services. Most of the pick up/drop off issues will be resolved if we all arrive at 7:30 in the morning & 2:20 in the afternoon. 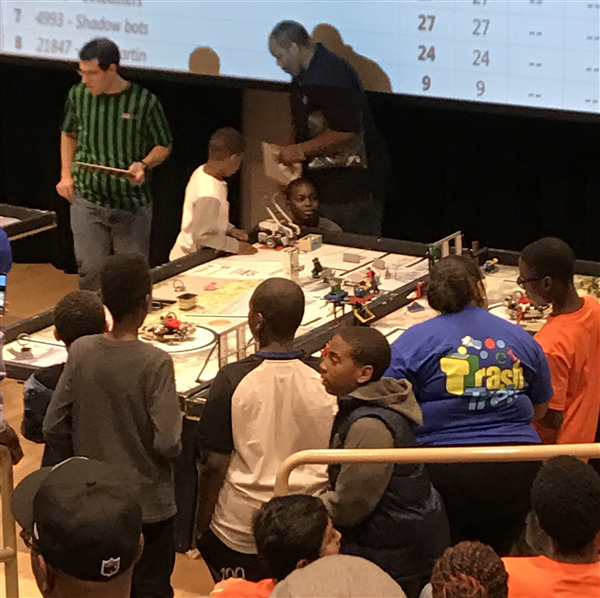 Today our team worked and competed in the FLL Competition. Words can not express how proud we are of our team. Thank you Mr. Inci for always supporting our scholars. As PGCPS will wore red on Friday. We here at CMIT will wear RED on MONDAY February 6, 2017. PGCPS GOES RED FOR HEART HEALTH! 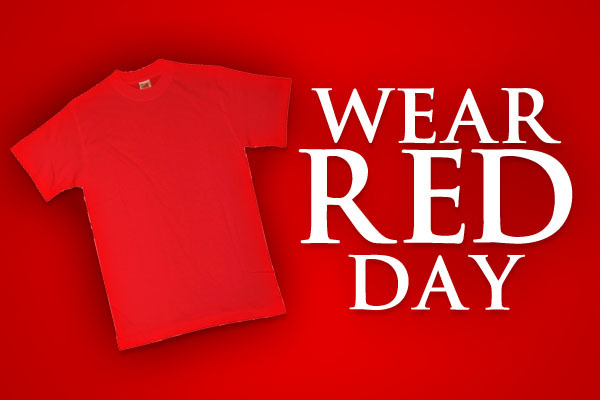 WEAR RED! Add red to your attire as part of National Wear Red Day for heart health. GET MOVING! Remember that movement does the body good. Don't forget to share photos on social media using #PGCPSGoesRed! Please view the attached lunch menu options for February. 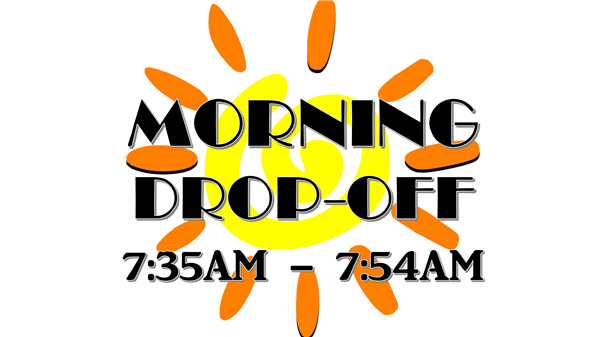 Morning drop-off begins at 7:35am. 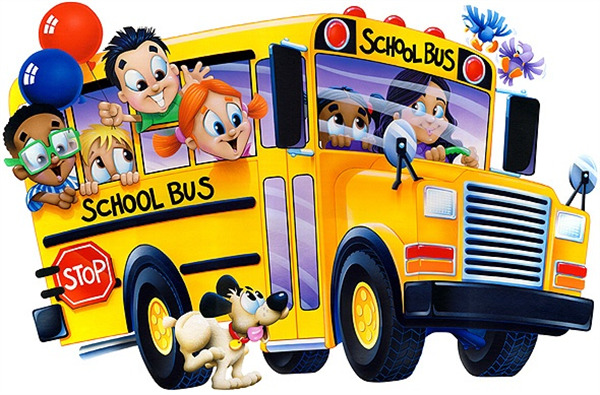 BUS/SHUTTLE RIDERS ONLY are permitted to enter through the school's main front doors between 7:35am - 7:54am. If you are coming prior to that please be reminded there is no staff before 7:35am to monitor your scholar left outside and this is not permissible by law. The Cafeteria doors will close promptly at 7:55am and all cars must then go to the front office to sign in tardy. There will be no staff outside after 7:55am as classes start at 7:55am. Please support the homeless. One of our very own families would like to collect homeless hygiene care packs in bookbags to distribute to our community. If you remember, we completed this for the holidays and it was a huge success. Please consider sending in items from February 6th until Valentines Day. On Valentines day students may dress down and bring in care bags in hand. A donation drop box will be located at the front office February 6th-15th. Thank you for all your support! Students should bring in their $10 club fee as soon as possible. It is time to get all of our supplies. Students should bring in a personal snack on club days. We have our first amusement park ride completed. We Participated in the Makerfest! We had an amazing time. We will work on our bridges this week! 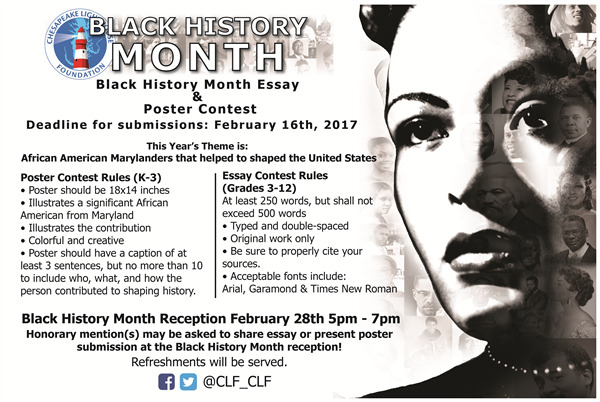 "African American Marylander's that helped shape the United States"
Honorary mention(s) may be asked to share essay or present poster submission at the Black History Month reception! 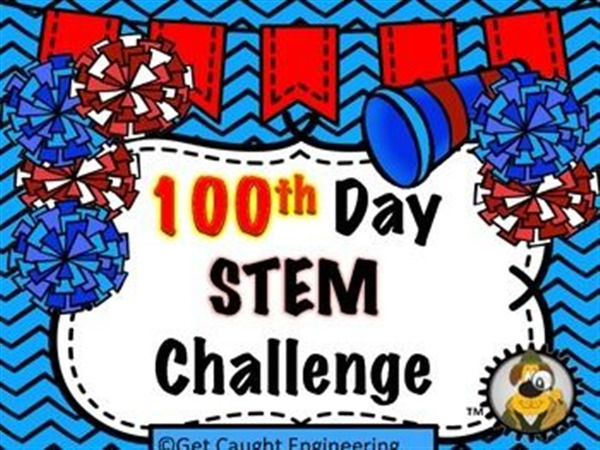 We had an AWESOME 100th Day where students used their creativity and the engineering design process to make things from only 100 pieces! We also loved the 100th Day shirts we saw throughout the building! Awesome job! On Tuesday, February 7, Kindergarten will be going to Port Discovery! We will read the story "Rooster's Off to See the World." It is a story about a Rooster who goes on an adventure and finds friends along the way. We will be retelling a story in sequence and and identifying initial /h/ sound. We are learning to compose and decompose numbers! Students will be expanding on their basic addition and subtraction to now create sums and writing number sentences to match these sums. We will be continuing this over the next few weeks! Students will be doing an activity with...WORMS! Students will be observing worms and writing their observations. We will be discussing whether these creatures are living or non-living and why. Here are our sight words we have learned so far. Remember to practice reading and writing these words regularly! (When reading at home, if you see these words, have your child point it out!) All of the words we will learn this year are available on our grade level website under "Sight Words." - Homework is due on FRIDAY each week. Remember to look for their new homework packet on Fridays. Homework that is not submitted by the due date will be given a ZERO. - Please read regularly! Remember that just 20 minutes a day can boost your child's reading levels! - As the weather gets colder, remember that we still go outside for recess when the weather is above 32 degrees Fahrenheit. Please ensure that your child is dressed appropriately! - Please remember to send an extra pair of uniform clothes to keep in your child's cubbie at school in the event of accidents or spills. - Uniform is enforced daily, including uninterrupted black shoes. Please go to http://cmitelementary.org/uniform-policy/ for more information. First grade will be continuing chapter 8 next week. Chapter 8 is working on place value, tens and ones. We will be learning about geography. First grade will be starting to work on light waves. The first grade will continue to administer the MAP test next week. There is so much going on in our school. 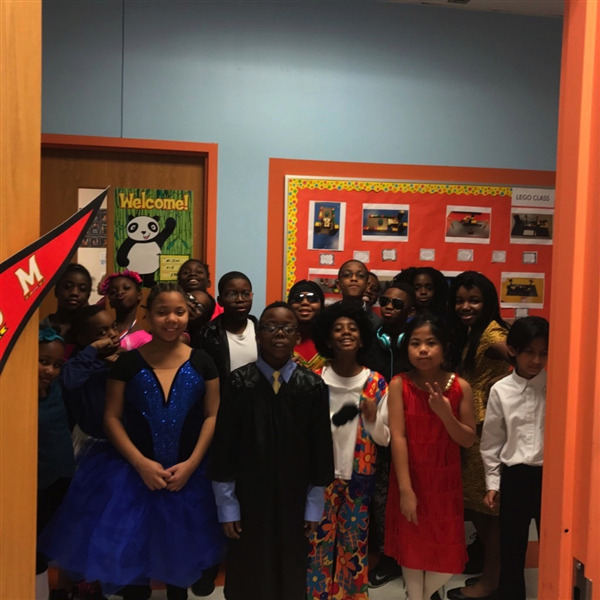 Starting with February 3, 2017 the third grade students were able to kick off our Black History Celebration performing the poem, "Hey, Black Child" by Countee Cullen. The students did a fantastic job. Also February 3, 2017 was the 100th day of school, 80 more school days to go. Wow! Time sure flies when you are having fun. MAP testing is complete and you will receive a copy of your child's results. It is expected for students to reach the goal of 195 for Reading as a 3rd grade student and 198 in Math. WHAT IS GOING ON IN THE CLASSROOM? This week in Science students will focus on the classification of plants and animals. They will learn that the inheritance of traits many characteristics of organisms have are inherited from their parents. The Math focus will be to understanding how to read and write unit fractions for equal size parts of a region. Reading/Writing focus is to continue to work on the research writing simulation, as it relates to the focus on endangered animals that we have been discussing for the last two weeks in Science. 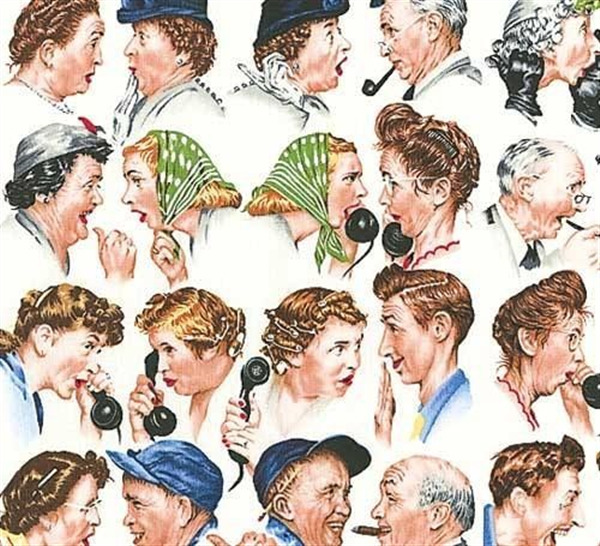 Social Studies the students will collect and examine information about people, places, or events of the past using pictures, photographs, maps, audio or visual tapes, and or documents. They will also compare family life in the local community by considering jobs, communication, and transportation. The students received their report cards February 2, 2017. Please be sure to check SchoolMAx for any updates to your student's progress. February 7th 2017 at 8:30 is our 2nd Quarter Awards Assembly. it will be held at the school in our Cafeteria. Reminder school will be closed Friday, February 10, 2017 for students. We are off and running into the second half of the school year in 4th grade! Students did a great job on their Black History Month Projects. 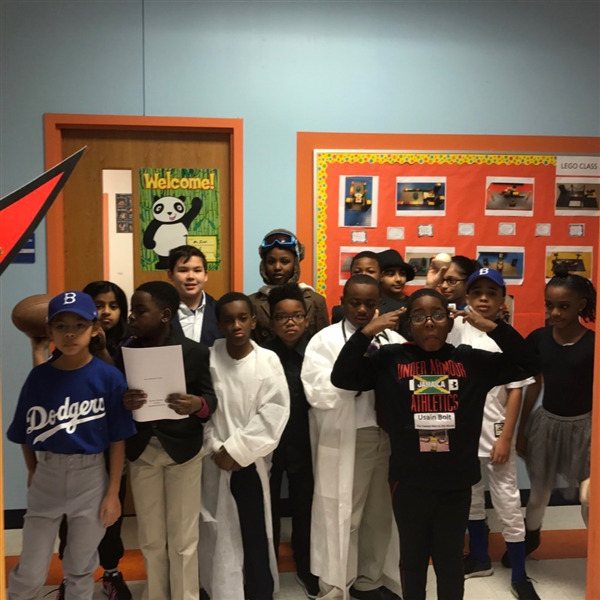 The teachers were so impressed with the Wax Museum Presentations, posters, and costumes! We will be asking some students to dress up again on February 17th to present for the rest of the school. Next week we will begin to work on our Literacy Writing Task. This will take place during class time. The entire county is completing this task in order to prepare for the PARCC Assessment this Spring. Our 2nd Quarter Awards Assembly will be on February 7th at 9:30 AM. Math homework packets are due on Monday, February 6. Our first Black History celebration was inspiring and successful. Students proudly showcased prominent African-Americans who left their stamp on U.S. history and the world! Please be sure you are visiting the blog! I welcome topic/discussion ideas that are interesting and relevant to you! We can expand on and explore them together...Lets make it an open forum of conversation and communication throughout our Tiger' Den! Be sure to keep checking back on the blog as dates for a Parent Program I will be running are going to be announced in the next 2 weeks! March 17th – 3-5PM – St. Patty’s Day After School Dance Party its that time of year again. Time to party!!! 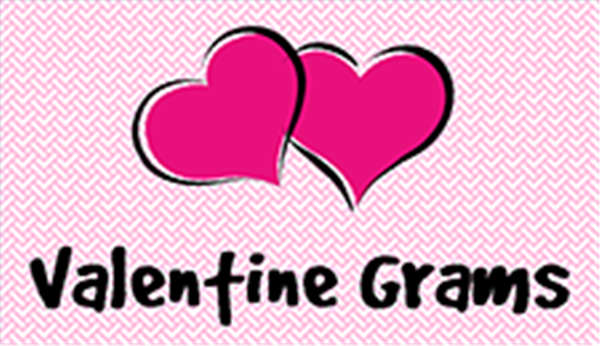 February 3rd through 9th – Valentine’s Gram Sales (Delivered on February 14th) Show someone you care and send a special Valentine Day treat via PTO. Only $1 per gram and its for a good cause. February 7th - PTO Meeting at 6PM in the CMIT Elementary Cafeteria. Refreshments will be provided. There will be a call in option for all meeting except the September meeting. 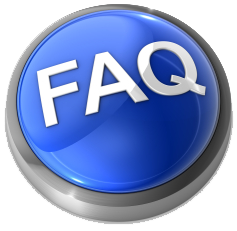 Please refer to our website for updates on call in options and childcare during future meetings.